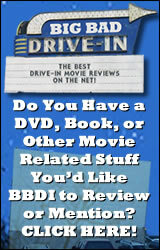 This is a great site from a true friend of Big Bad Drive-in! The creator of the site, and all the wonderful things on it, is Jennifer Griffith Marshak. She's a wonderfully creative and talented person, and has been a huge supporter of BBDI from the beginning.